In the United States, the FDA tried to mandate that cigarette companies put nasty images of the harms of smoking onto cigarette packages, images that would take up at least half of the carton. It looks like that effort has failed, because the courts have determined that it violates the First Amendment. 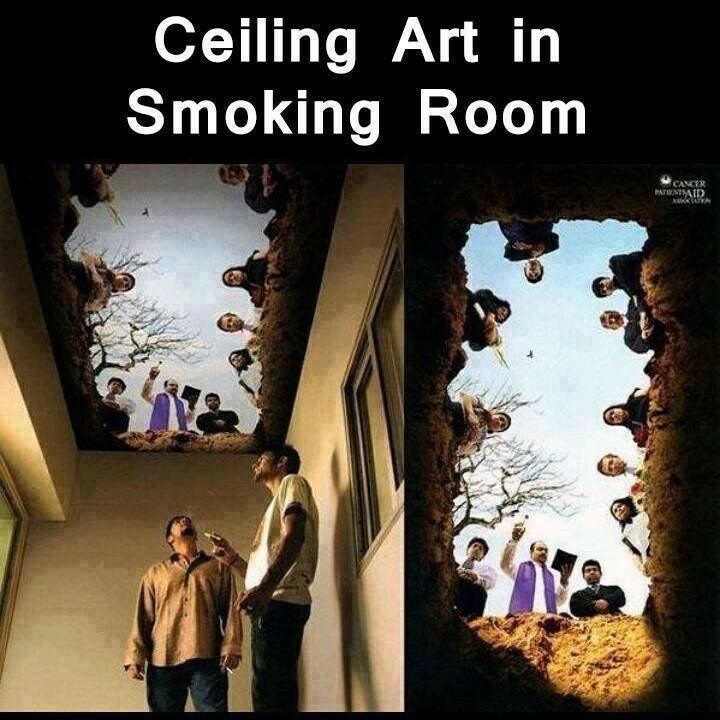 I wonder what the courts will think about this graphic image, which somebody painted onto the ceiling of a “smoker’s room”. That’s got to give people reason for pause.